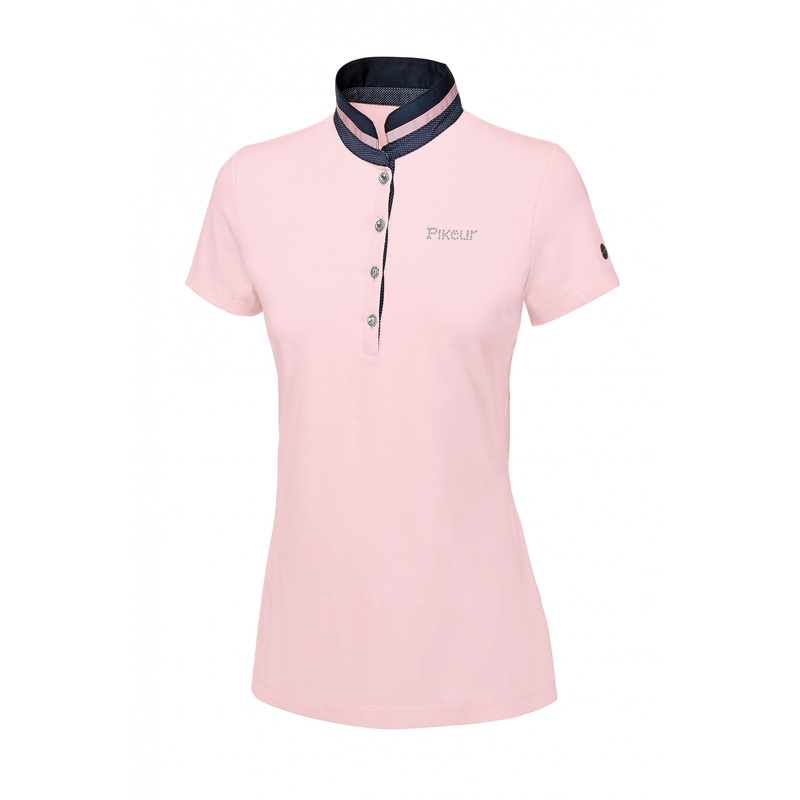 Ladies' polo shirt made of comfy, delicate jersey. It is elastic and breathable. Its sporty cut nicely fits to the body. 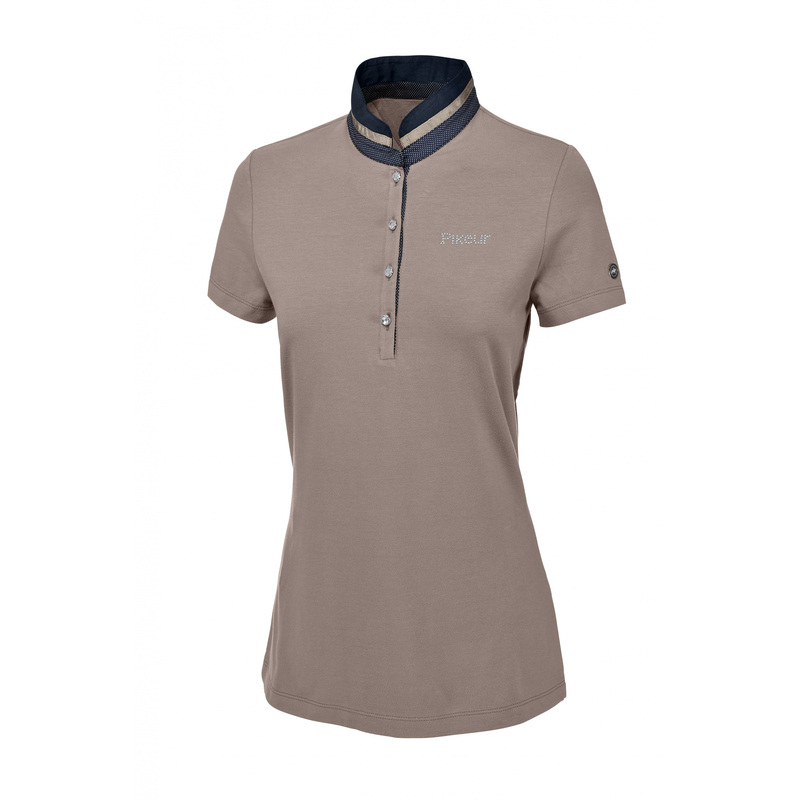 The shirt is decorated with a Pikeur writing made from crystals and a small emblem on a sleeve. Material: 95% cotton and 5% polyester.